At Mini workshop, attendees can create their own artwork directly on a blank screen using a special pen then print right onsite. It’s light-weight and easy-to-handle workshop type. 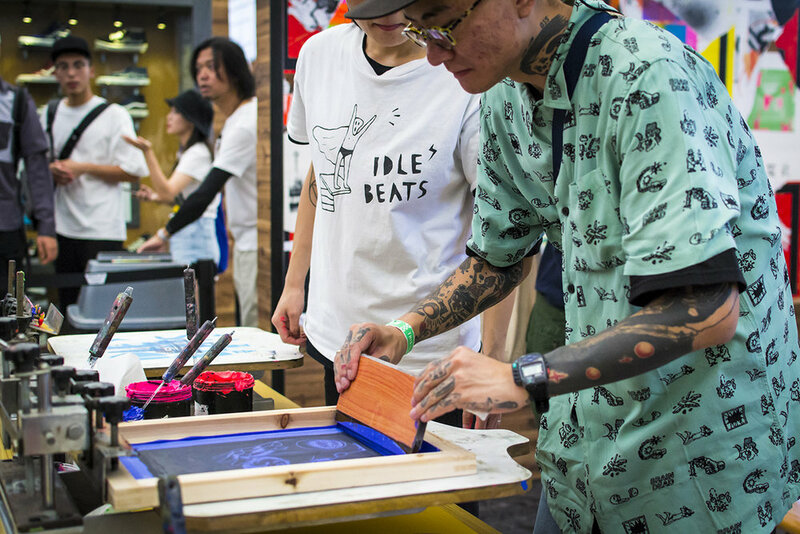 Within one to two hours, attendees can go through all steps from creating to printing, and leave with T-shirts or framed Art Prints with their own creation. With IB Print Club artists’ tutor and assistance, attendees can create and cut or carve their stencil right on site. Within 1-2 hours, they will go through a very authentic street art creation process: designing a stencil, cutting it, then print it with an open screen, in the end leave with a framed stencil art or shirt/bags printed with their own artworks.